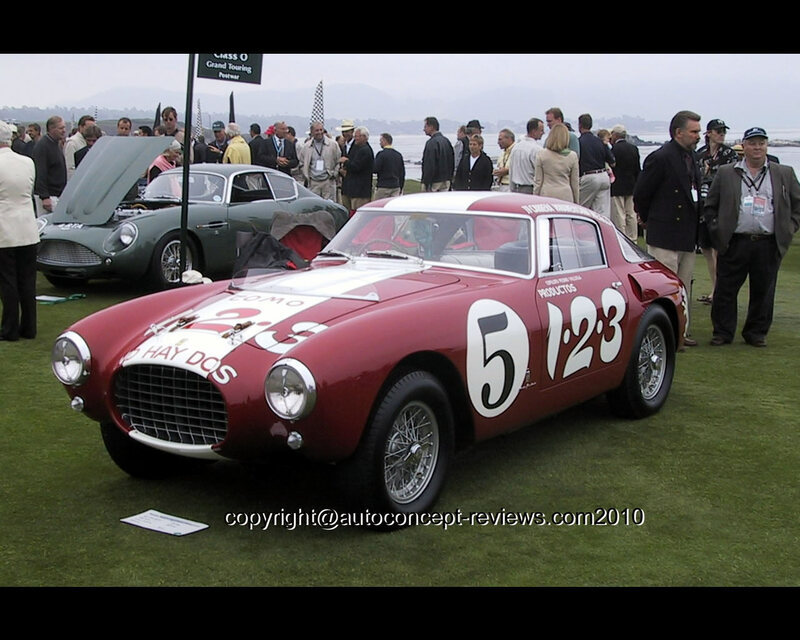 This Ferrari 250 MM Berlinetta Pinin Farina 1953 participated in the Carrera Panamericana. 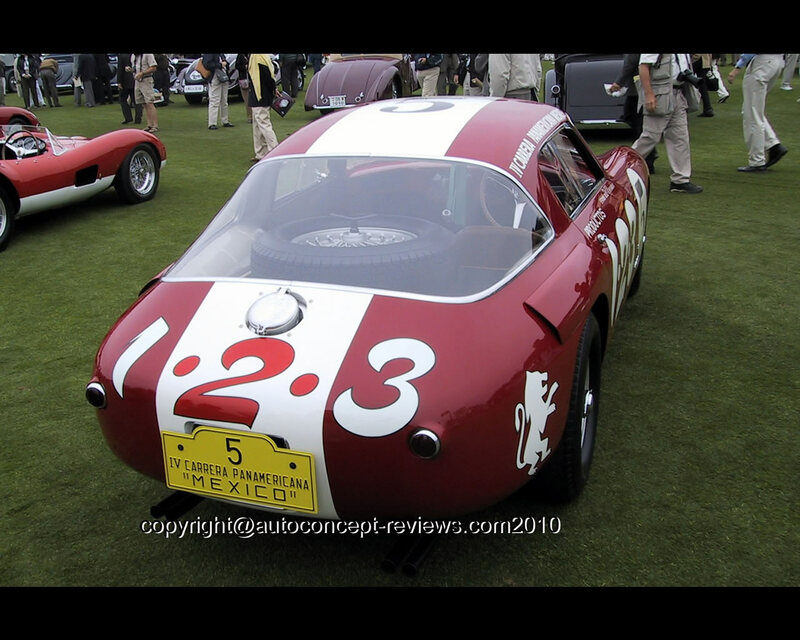 The car in exhibit in this Car Review was entered by Lorenzo Zambrano from Monterrey, Mexico at the 2002 Pebble Beach Concours d' Elegance. In the early Fifties the berlinettas were essentially spyders or barchettas with a roof added to it. The tubular frame was self-supportive. With this 250 MM Berlinetta, Pinin Farina introduced a new and exceptional styling design where the cabin takes the full width of the body. The rear fenders are completely melted in the single volume passenger's area. The rear end includes a fully enveloping rear window that is entirely integrated in the rounded back of the car. In competition models a brake cooling air intake was added over the rear wheel arch. This famous and successful body style has been adapted to different models of the maker with only adjustments in size and front end details.